One of Australia’s largest Fire & Rescue bases relocated from Sydney’s CBD to a contemporary, state-of-the-art commercial facility in Western Sydney. Combining offices with the Logistics Unit and Fire Prevention Operations led to a workplace design that helps create a unified culture with a shared purpose and focus. GroupGSA designed an Activity Based Working (ABW) fit-out with shared staff hubs and zones for collaboration. 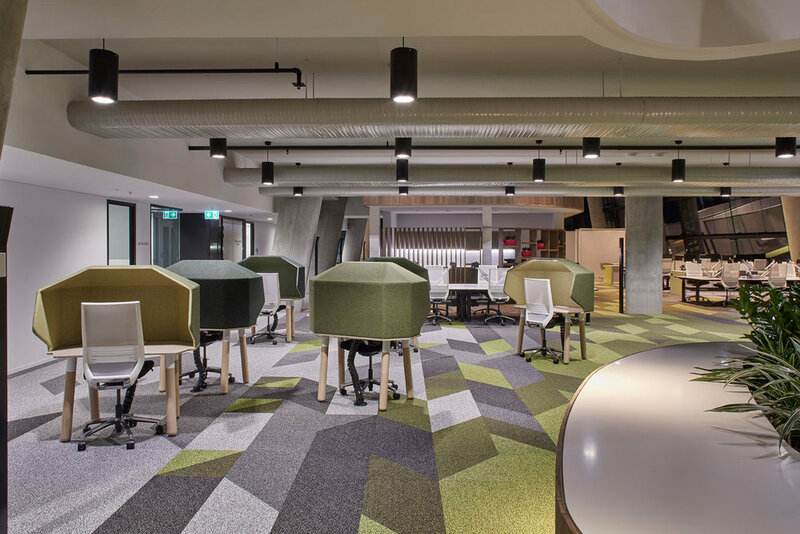 Koskela was asked to supply our IDEA-award winning hoodies to provide pockets of seclusion in the vast, open plan spaces. This desk with a screening “hood” provides a privacy booth that offers acoustic separation from other activities in the vicinity.